Now a researcher at Imperial has invented a method of accelerating the antimatter version of electrons—called positrons—in a system that would be just centimetres long. The accelerator would require a type of laser system that currently covers around 25 square metres, but that is already present in many physics labs.Dr. 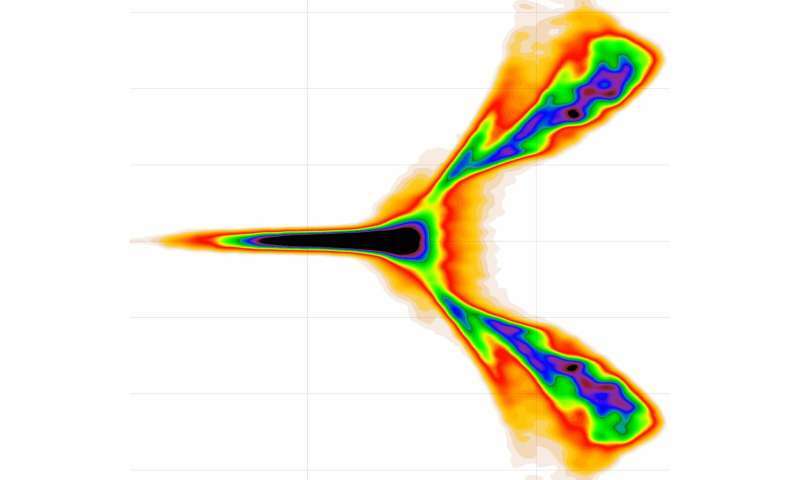 Aakash Sahai, from the Department of Physics at Imperial reported his method today in the Physical Review Journal for Accelerators and Beams. He said: "With this new accelerator method, we could drastically reduce the size and the cost of antimatter acceleration. What is now only possible by using large physics facilities at tens of million-dollar costs could soon be possible in ordinary physics labs." "The technologies used in facilities like the Large Hadron Collider or the Linac Coherent Light Source have not undergone significant advances since their invention in the 1950s. They are expensive to run, and it may be that we will soon have all we can get out of them. "A new generation of compact, energetic and cheap accelerators of elusive particles would allow us to probe new physics—and allow many more labs worldwide to join the effort." While the method is currently undergoing experimental validation, Dr. Sahai is confident it will be possible to produce a working prototype within a couple of years, based on the Department's previous experience creating electron beams using a similar method. The method uses lasers and plasma—a gas of charged particles—to produce, concentrate positrons and accelerate them to create a beam. 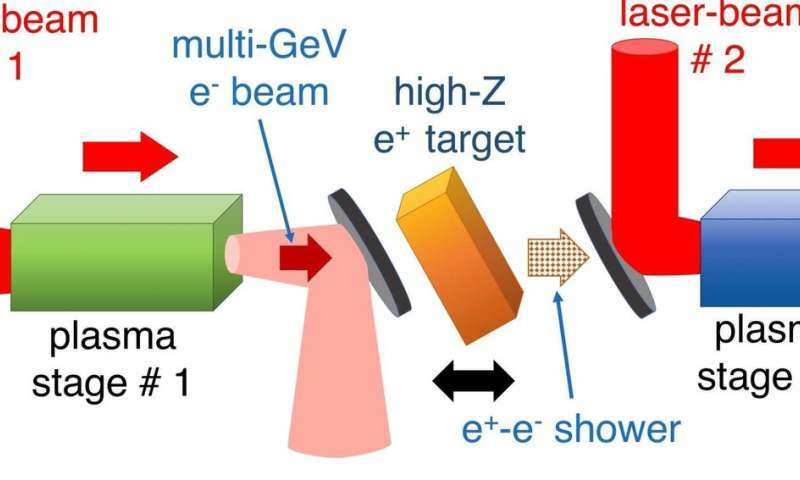 This centimetre-scale accelerator could use existing lasers to accelerate positron beams with tens of millions of particles to the same energy as reached over two kilometres at the Stanford accelerator. 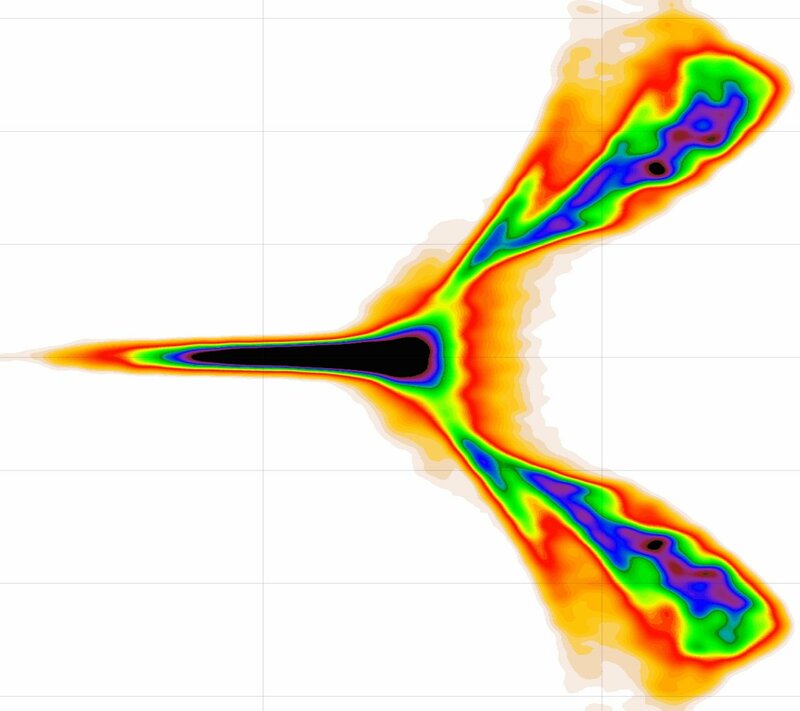 Colliding electron and positron beams could have implications in fundamental physics. For example, they could create a higher rate of Higgs bosons than the LHC can, allowing physicists to better study its properties. They could also be used to look for new particles thought to exist in a theory called 'supersymmetry', which would fill in some gaps in the Standard Model of particle physics. Dr. Sahai added: "It is particularly gratifying to do this work at Imperial, where our lab's namesake—Professor Patrick Blackett—won a Nobel Prize for his invention of methods to track exotic particles like antimatter. Professor Abdus Salam, another Imperial academic, also won a Nobel Prize for the validation of his theory of weak force made possible only using a pre-LHC positron-electron collider machine at CERN. It's wonderful to attempt to carry on this legacy."